Description: So much for so little! Manageably priced, this free-standing 2-story townhome has it all – a carefree lifestyle; 2 bedrooms, 2 baths; wood veneer & carpeted floors; fully-equipped kitchen, including refrigerator, microwave & custom cabinetry; main-level surround sound; loft/office; convenient 2nd-floor laundry with washer; sundeck overlooking trees & common ground; attached garage; full walk-out basement with room to expand & bath rough-in. Monthly fee covers exterior insurance & yard care, giving you plenty of leisure time to enjoy the community pool/clubhouse. 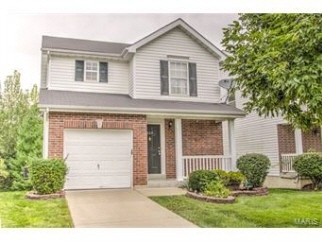 Located in an established neighborhood served by top-ranked wentzville schools, with direct commuter access to i-70 & the countless amenities of o’fallon & lake saint louis.